Peugeot was not the only factory showing off its 2007 sportscar challenger today (Thursday 28 September). 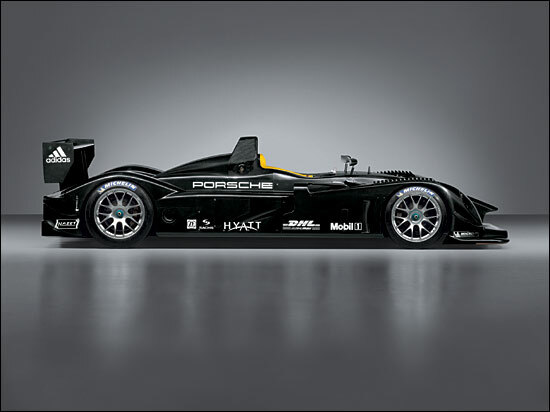 A new for 2007, evolution version, of the Porsche RS Spyder was unveiled in Paris too, marking clear intent that the Porsche factory is still very much intending the LMP2 car to find customers on both sides of the Atlantic. To truly see all of the differences between the current cars run by Penske and the new car you’d need to examine the two side by side, but the overall effect is of a sleeker, less fussy package. 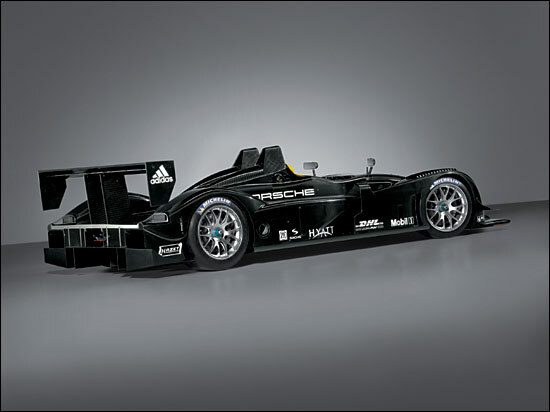 Porsche’s intention is to “limit the cost of racing the car with a view to future entry of the RS Spyder by customers”. The company suggests that it has “enhanced the aerodynamic efficiency of the car, but also improved the range of set-up options for different kinds of racetracks”. The carbon-fibre body has been “modified for an even higher standard of ease and convenience for service and maintenance”. The 3.4 liter, 90 degree V8 in the revised car will produce a claimed 503 bhp, an increase of 23 bhp. The complete car will weight “exactly 775 kg”. Porsche has “upgraded the gearbox with the primary objective to make the gearshift even more reliable, smoother and less demanding on all the components involved, and at the same time even more precise”. He’s aware of LMP2 competition hotting up in 2007. 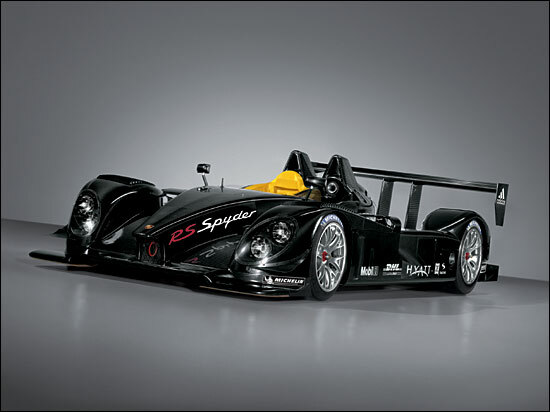 So a faster, developed version of the 2006 RS Spyder - and a more customer-friendly car too. LMP2 (Le Mans Prototype 2) class. Suitable for racing in the ALMS, LMS, further championships and long-distance races. Bodyshell: Carbon-fibre reinforced monocoque; front, side and rear body sections made of reinforced carbon/kevlar; underfloor cover with skid block (A.C.O.) 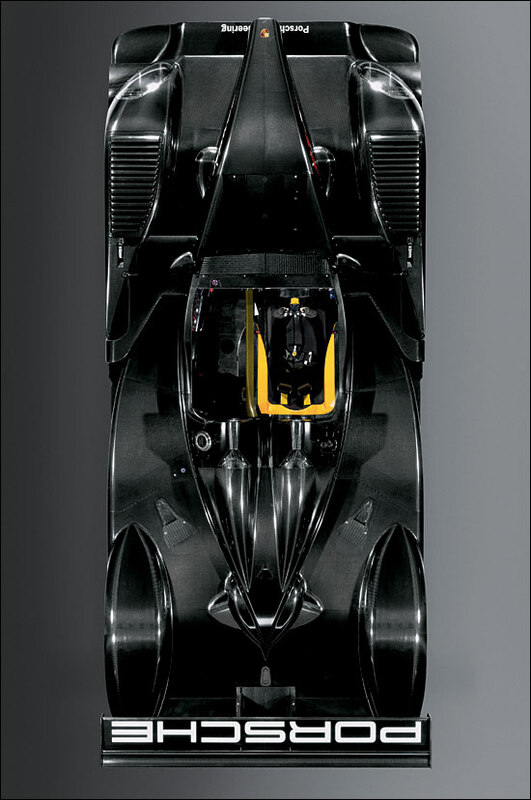 and rear diffuser; rear wing adjustable on two wing elements; six-point seat belt with Head And Neck Support System (HANS) modification; fire extinguishing system; helmet protection to FIA and A.C.O. Regulations; three-point pneumatic car jack. electronic engine management; sequential multipoint fuel injection. 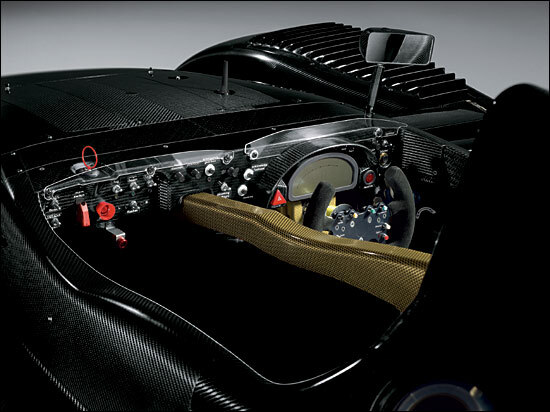 carbon-fibre racing clutch; mechanical limited-slip differential; anti-spin control. Suspension: Front axle: double wishbone track control arm configuration; ZF Sachs four-way gas-pressure dampers, pushrod operation; torsion springs; adjustable anti-roll bar in bending-leaf design; hydraulic power steering with mechanical pump. Rear axle: double wishbone track control arm configuration; ZF Sachs four-way gas-pressure dampers, pushrod operation; torsion springs; adjustable anti-roll bar. Overall suspension infinitely adjustable for height, camber, and track. Brakes: Two-circuit brake system with front/rear split and balance bar control; no ABS; six-piston aluminium monobloc fixed callipers at the front; cross-drilled, inner-vented carbon brake discs measuring 380 mm (14.96") in diameter at the front and 355 mm (13.98") at the rear.